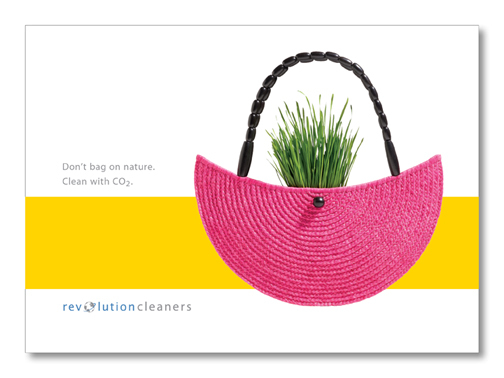 Launch brands environmentally friendly dry cleaner. Emphasis on friendly. 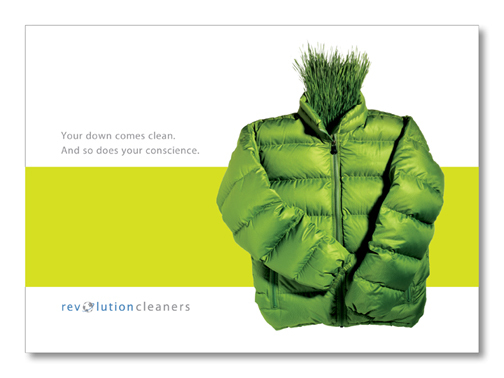 Revolution Cleaners came to us to launch their brand as the first dry cleaner in the Rocky Mountain region to utilize liquid CO2 cleaning technology. 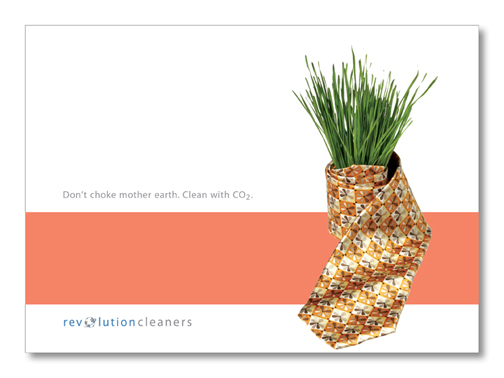 This non-chemical approach to cleaning is more effective, gentler on clothes, and environmentally friendly. We developed branding images and language for use on their website, in-store displays, direct mail and print advertising. 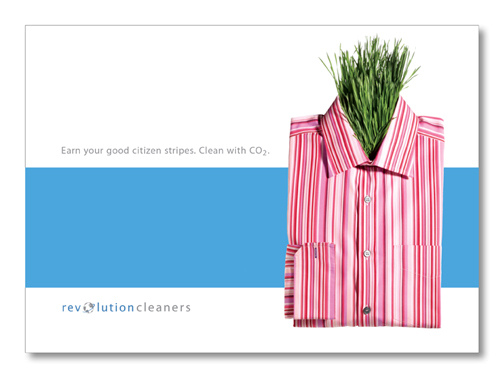 The campaign gave Revolution an instant brand personality: hip, enlightened, and environmentally friendly without being militant.